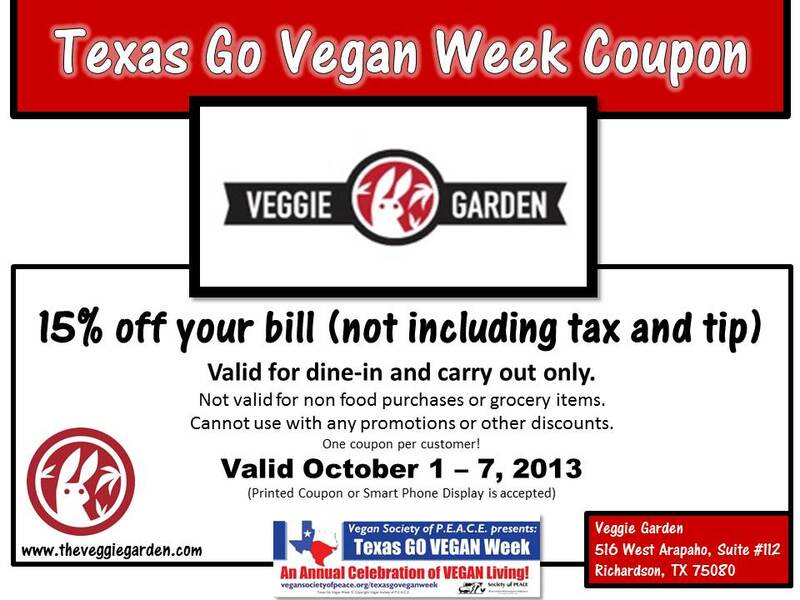 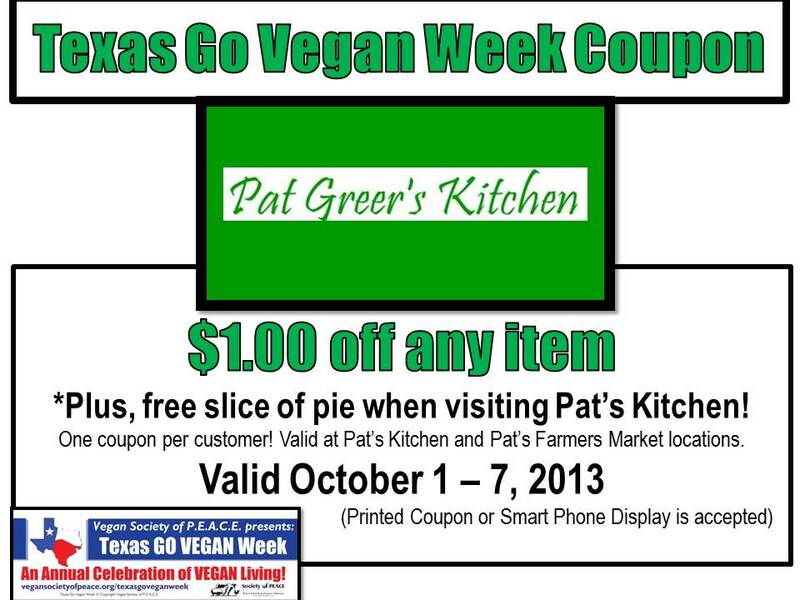 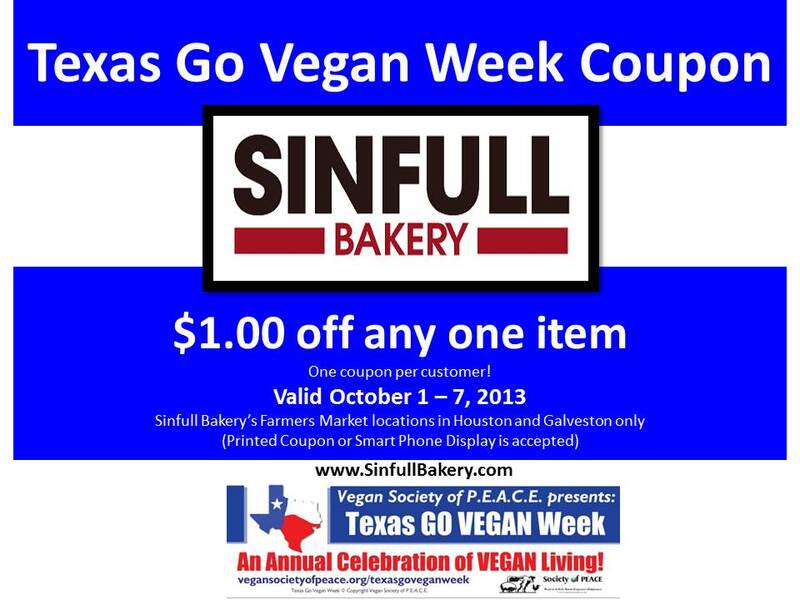 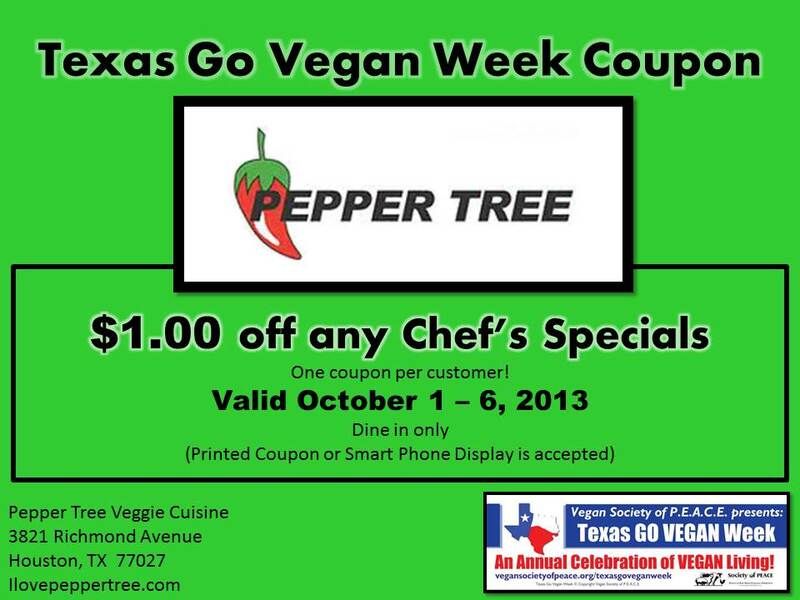 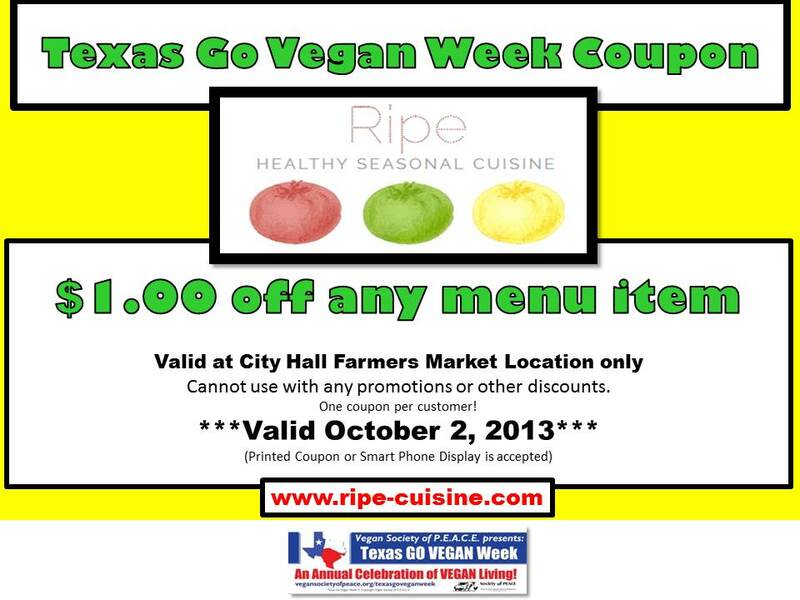 Our 2013 TEXAS GO VEGAN WEEK special offers from participating vendors are listed below! 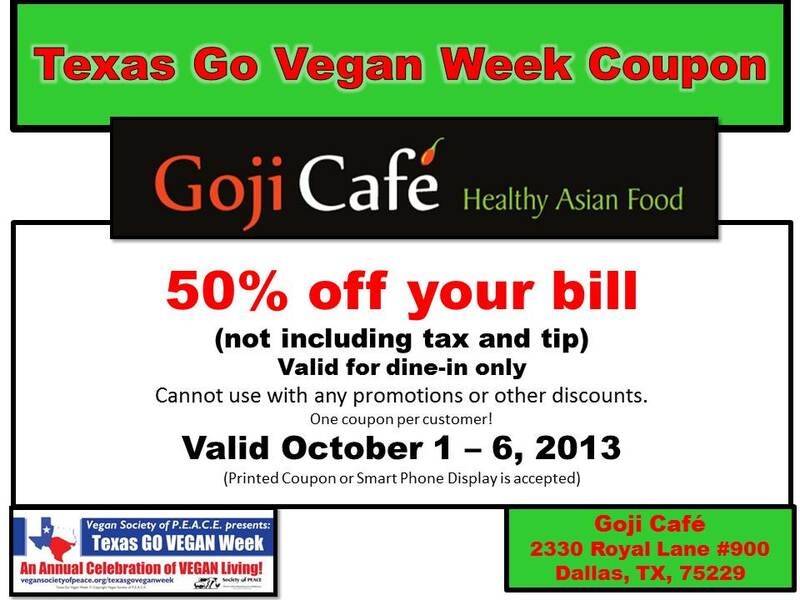 Coupons are listed below by city or region. 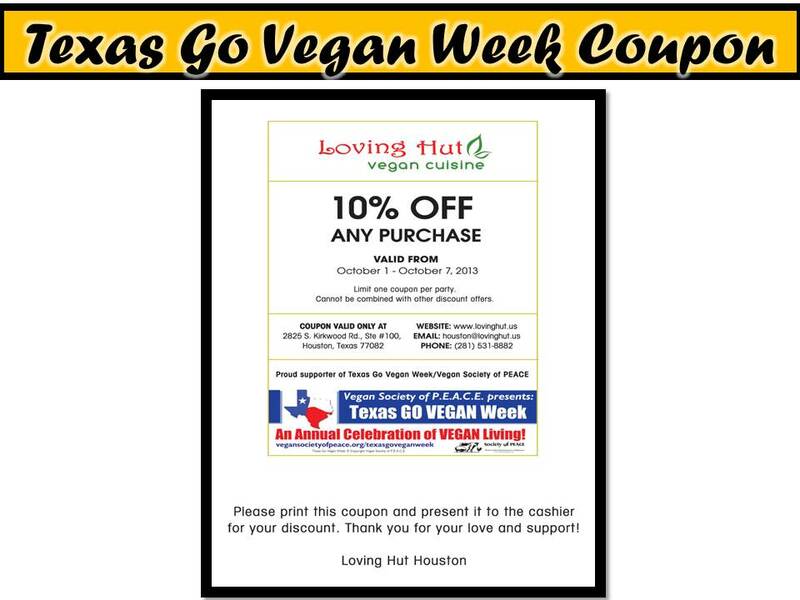 If you are a vendor in Texas and would like to participate in TEXAS GO VEGAN WEEK by giving special discounts and coupon offers this week, please contact us!